Dutch genre and history painter, active mainly in his native Delft. He travelled widely in Italy and France, 1614-28, and drew on a variety of influences for his most characteristic paintings - small nocturnal scenes with vivid effects of light. 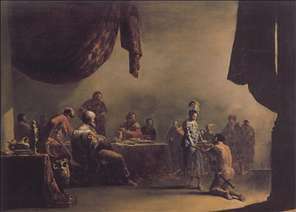 Works such as the Scene of Sorcery (Bordeaux) have earned him the reputation an interesting independent who cannot easily be pigeonholed. 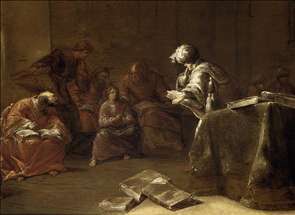 Bramer was also one of the few Dutch artists to paint frescoes in Holland, but none of his work in the medium survived. He evidently knew well the greatest of his Delft contemporaries, Vermeer, for he came to the latter s defence when his future mother-in-law was trying to prevent him from marrying her daughter. 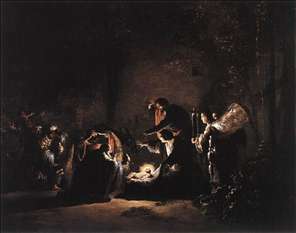 In fact, it is likely that Bramer, rather than Carel Fabritius, was Vermeer s teacher. See more details about "Christ among the Doctors"
See more details about "Salome Presented with the Head of St John the Baptist"